Good afternoon, space fans! Here's what was up on the ISS last week. Congratulations, astronaut Kelly and cosmonaut Kornienko! This week, the crew spent time this week doing ocular tests and preparing for another spacewalk. The ocular tests are part of an ongoing analysis of how fluids and microgravity-induced cranial pressure affect human eyesight in space. In addition to taking and studying ultrasounds of their eyeballs, the astronauts monitor their cardiac rhythms during the experiment. More info can be found here. Astronauts Tim Kopra and Tim Peake also assessed their airways as part of an experiment that dealt with how well the ISS astronauts breathe. Were inflammation or other signs of illness to affect them, this experiment would be effective at recognizing many diseases in an early stage, which in turn could lead to quicker treatment - a big plus when you're so far away from home. 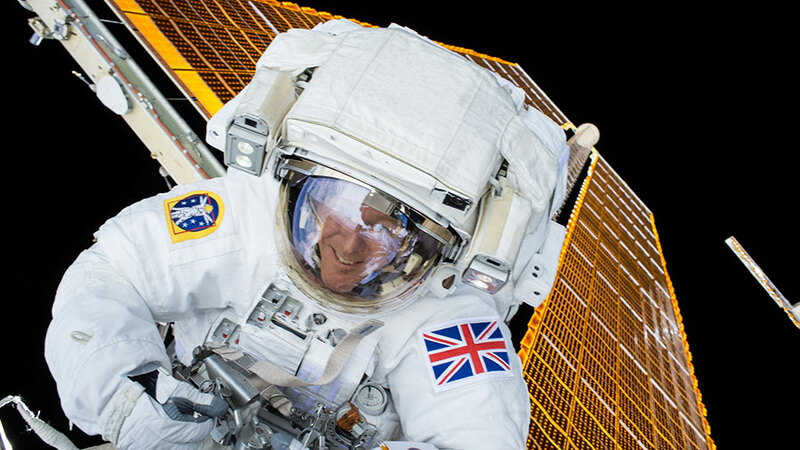 Peake still won't shut up about how cool his recent spacewalk was. Speaking of far out, veteran cosmonauts Sergey Volkov and Yuri Malenchenko prepared for a spacewalk to be conducted on February 3rd. Their stroll outside will find them installing new hardware and science experiments on the station's exterior. 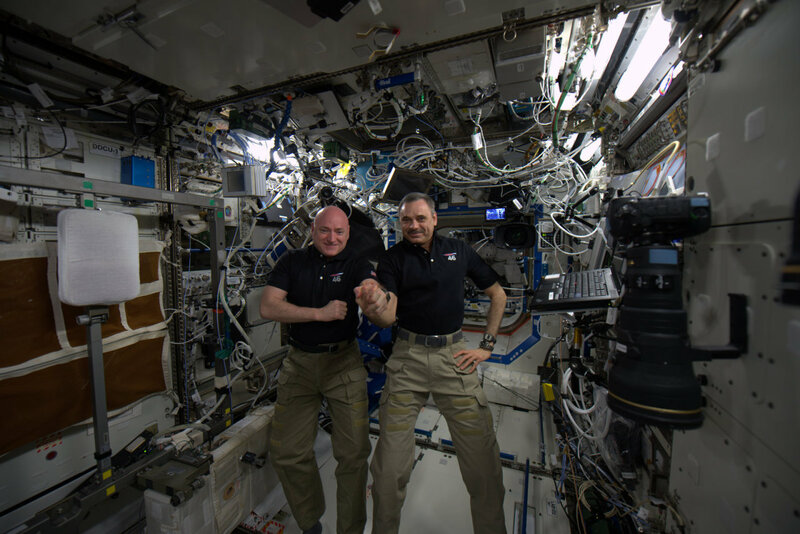 The One-Year Crew team, NASA astronaut Scott Kelly and cosmonaut Mikhail Kornienko, have now spent over 300 consecutive days in space. They've conducted spacewalks, grown space lettuce and flowers, participated in hundreds of experiments, and even had time for a little recreation. Ping-pong with a water droplet and hydrophobic paddles. Space sports for the upcoming Martian Olympics? Astronaut Kelly conducted an "AMA" (Ask Me Anything) on the popular website Reddit, revealing information about both himself and life in space. He's frequently photographed with his arms crossed because otherwise the lack of gravity would have them floating on their own. His favorite non-space movie is "The Godfather." He thinks space smells like burning metal when you step outside. He's read "Endurance: Shackleton's Incredible Voyage" on two different space missions for inspiration. He has "crazy" dreams, both regarding life on Earth and life in space. When asked about how long it took him to adjust to space life, he replied, "The longer I am here the more normal I feel. It always seems to be getting better." When asked if the ISS crew played pranks on each other, he simply stated, "Occasionally..."
As usual, Kelly spent time capturing some amazing "Earth Art", this time involving snowstorm Jonas as his subject. Don't forget to follow NASA's Tumblr for even more excellent space imagery. That's all for this week, space fans! We'll see you next week with more news from the future of the cosmos. Watch this space! 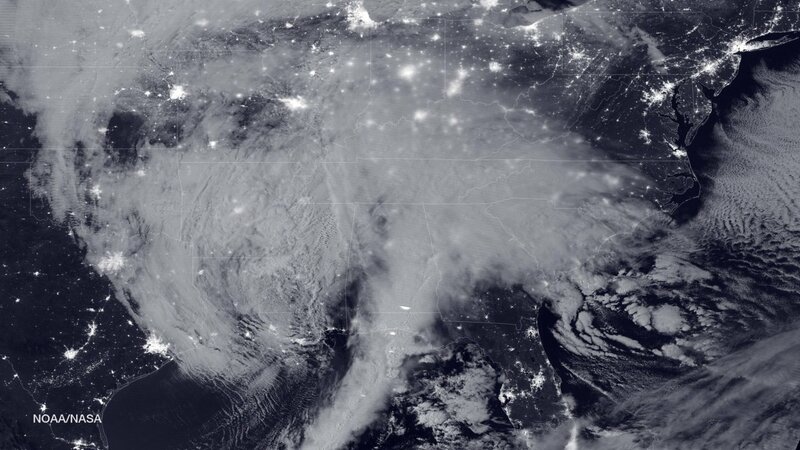 and NOAA’s GOES-East satellite show the recent storm's perilous path. Check in with the spacemen when you're trying to spot good ski conditions!